As the school year begins I am reminded of how caught up in our lives we can become and that without our homes in balance it can create a chaos in the rest of our lives. So I thought I would talk about the principle of balance when it comes to interior design. Balance does not mean that everything has to be symmetrical. This is probably the biggest mistake or misunderstanding that I see when it comes to design. 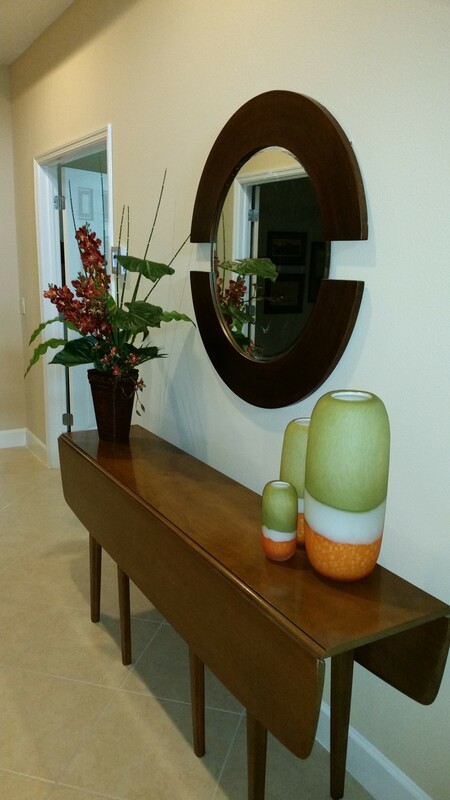 Symmetry is balanced but it is not the only way to create a balanced design. Balance can be created through color, weight and placement of pieces. For instance if you do a bright, bold accent wall you will want to balance the other side of the room with heavier or larger objects to keep the room in balance. If the majority of your seating is on one side of the room balance the other side with large artwork, accent table/console/buffet, and large accessories. You want your eye to move around the room and the correct balance will achieve that. Don’t leave the tops of furniture empty, this makes them feel out of place and floating in the room. One of my favorite things to remember when working with balance is to think in triangles. If you can look around your space and draw triangles to connect things then you are most likely in balance. You will have many triangles that can be created. For instance if you have a table with a mirror or artwork above you want to make sure you have pieces to the sides. The side pieces can be on the table if it is long enough or on the floor by the piece. You can also use a combination of wall, table and floor. There is no need to over do on accessories. Allow color to move through the space in different ways to balance the room. Different items have different weights so a large piece can be balanced by three lighter feeling pieces. 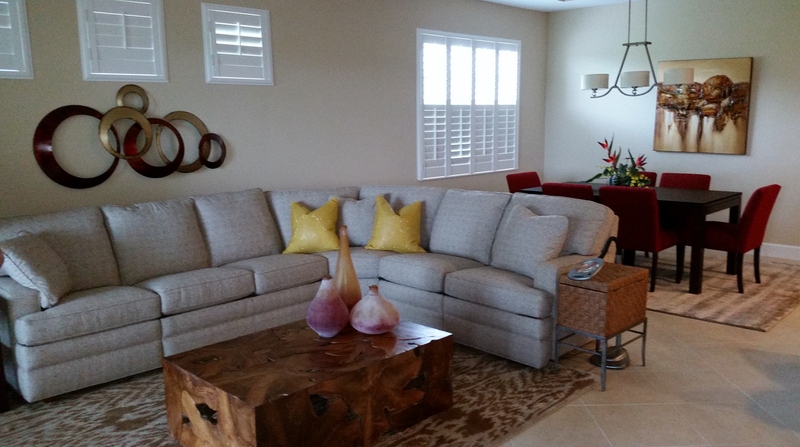 Another area that needs balancing in your home is usually the work to play areas. What I mean by this is do you have places to put your incoming mail, your outdoor living “toys”, your cookbooks, your kids school work and books, backpacks, and shoes. Do you have an adult only area to unwind? Do your kids have their own spaces? Balance is not just about furniture placement but also how you use it. You need to have places in your home so you are balanced. This does not mean that you have to have a separate room for each of these things, but designated spaces is important. Not sure how to do this, call a designer for a consult. The right space planning will return you to your love of your home and get you on the right path. 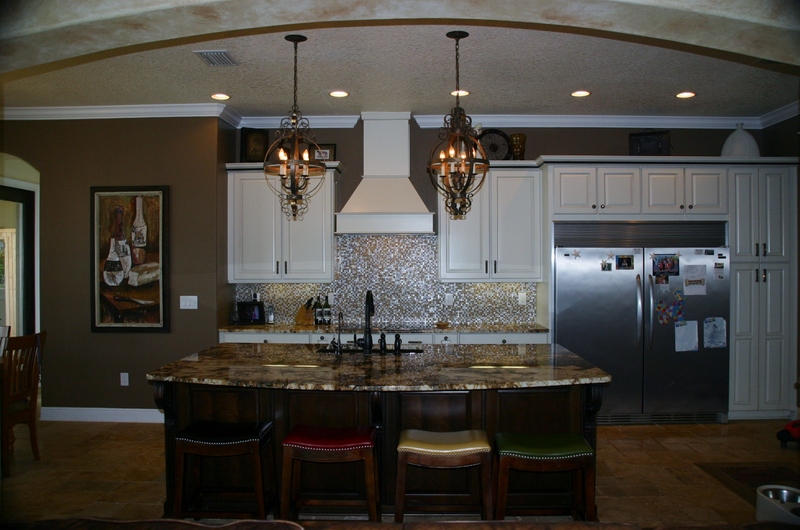 Balance a large island and high cabinets with the right light fixtures. 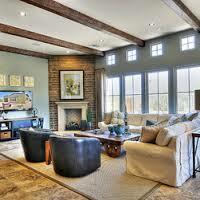 Balance focal points with the right colors and furniture to highlight the features. Are you balanced? Do you need to re-evaluate how your home and life are working together? If so breathe and take one area at a time. Creating balance is also about learning how to balance need verse want and realizing where your time is best spent.